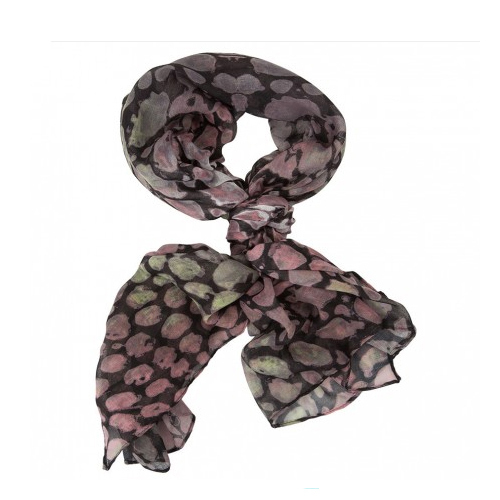 Click to shop our store or put the name of the product in SEARCH above. 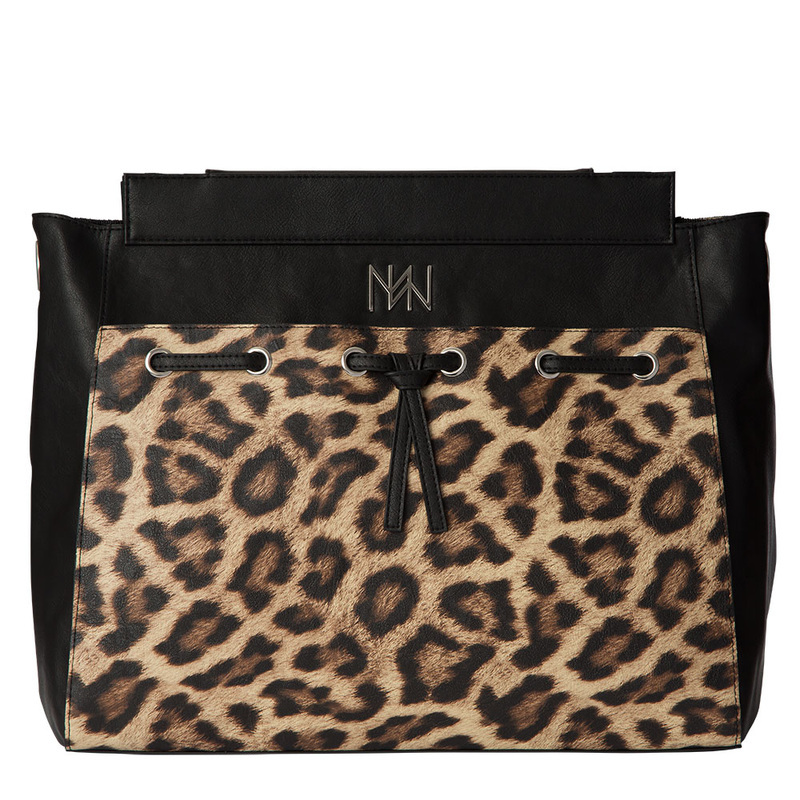 Leopard print piecing, black faux leather, eyelet lacing and tie detail, the Verve Collection will bring out your wild side or pair with your favorite outfits for a sophisticated look. Petite and Classic are wrap-around style. 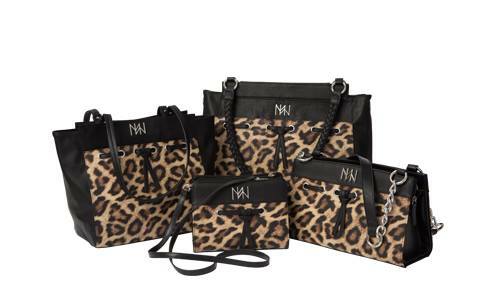 The Demi and Prima have font slip pockets, rectangle bottom and the Demi has a tote silhouette. 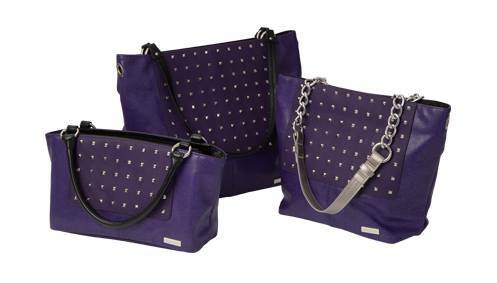 Purple faux leather in a crackle pattern is highlighted with pyramid stud detailing and purple piecing and silver hardware. 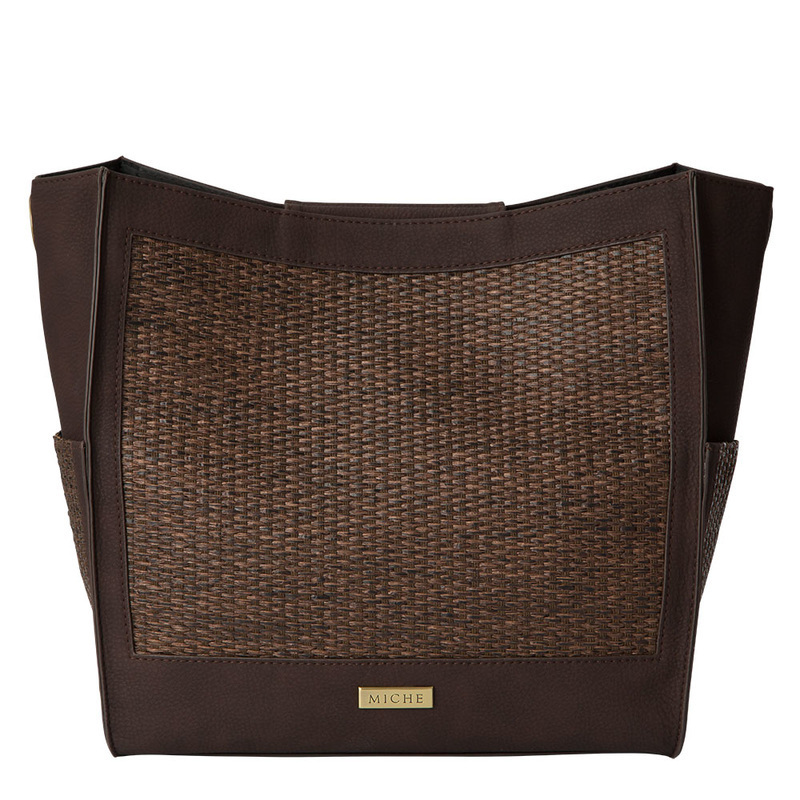 The Demi and Prima have a back zippered pocket, rectangle bottom and a tote silhouette. The Classic is a slip-on style that gaps at the ends rather than hugging the sides. 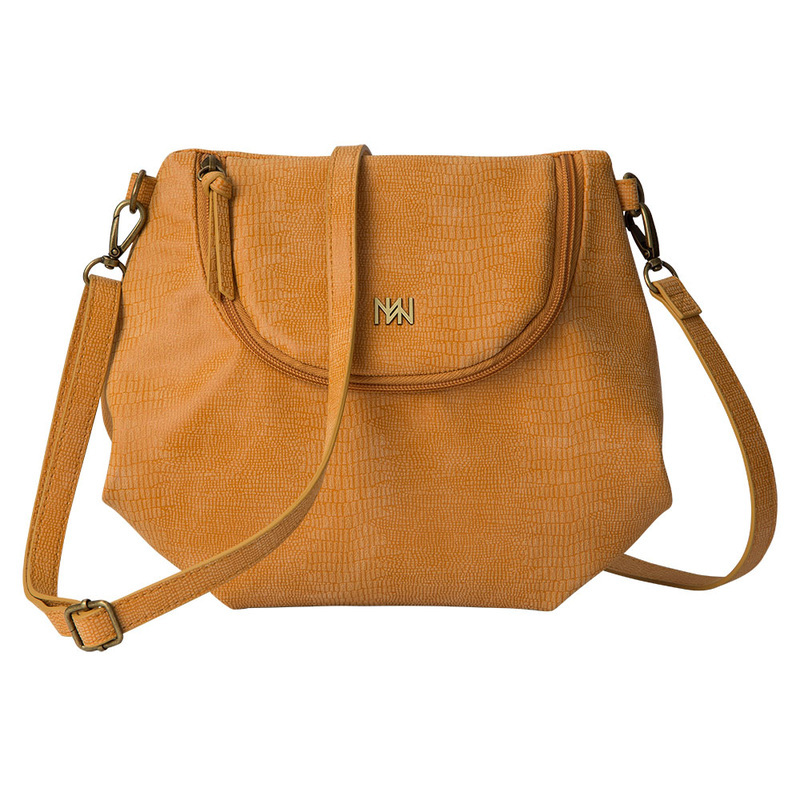 Ultra-suede in a faint lizard pattern, is a beautiful marigold, perfect for all your fall wardrobe colors. 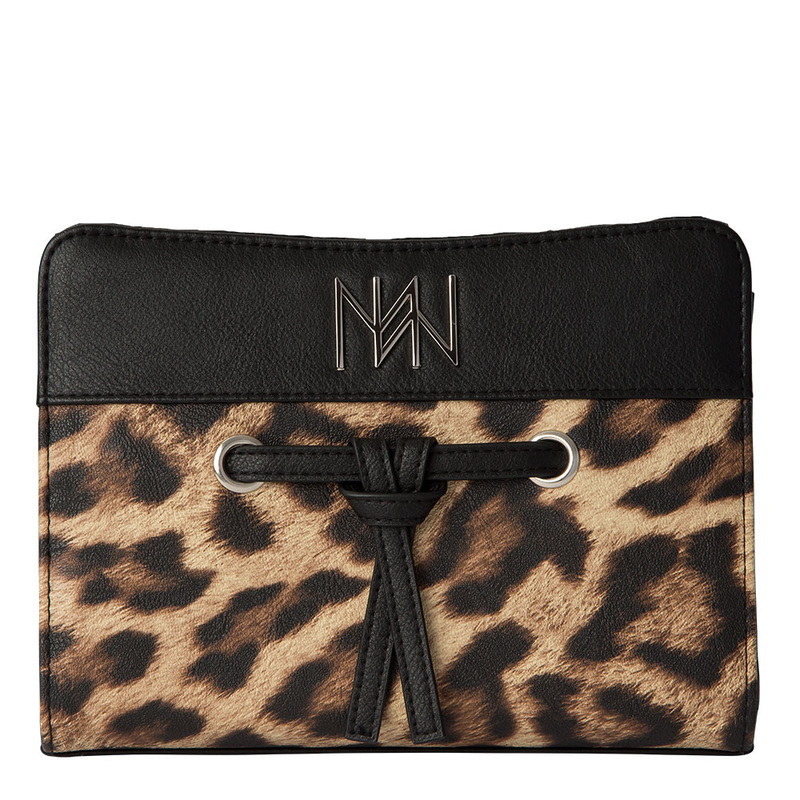 A back zippered pocket gives easy access to your cell phone and lipstick and the front zippered closure keeps your essentials safely tucked away. Antique brass hardware, 10.5" long x 9" tall, 3.5" gusset. 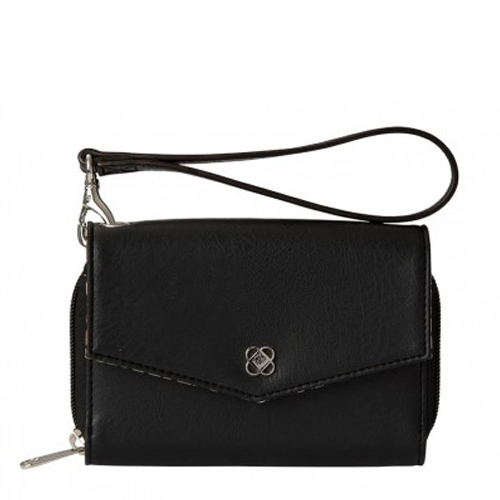 The matching strap adjusts to 58" long (28.5" handle drop) for easy cross-body style. 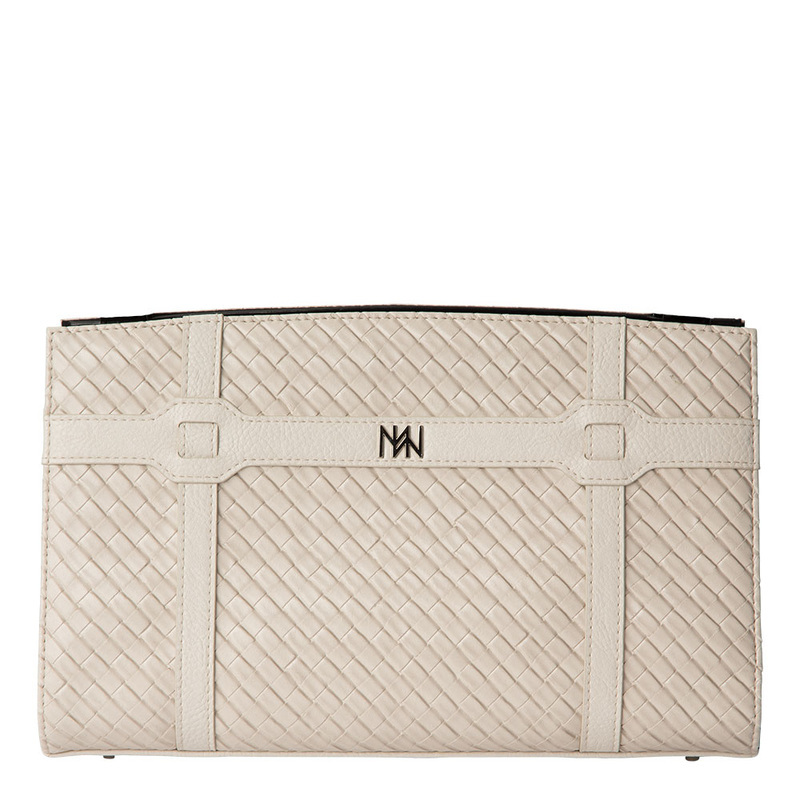 This dark walnut clutch features debossed woven faux leather that gives Metro Clutch the appears of lace. 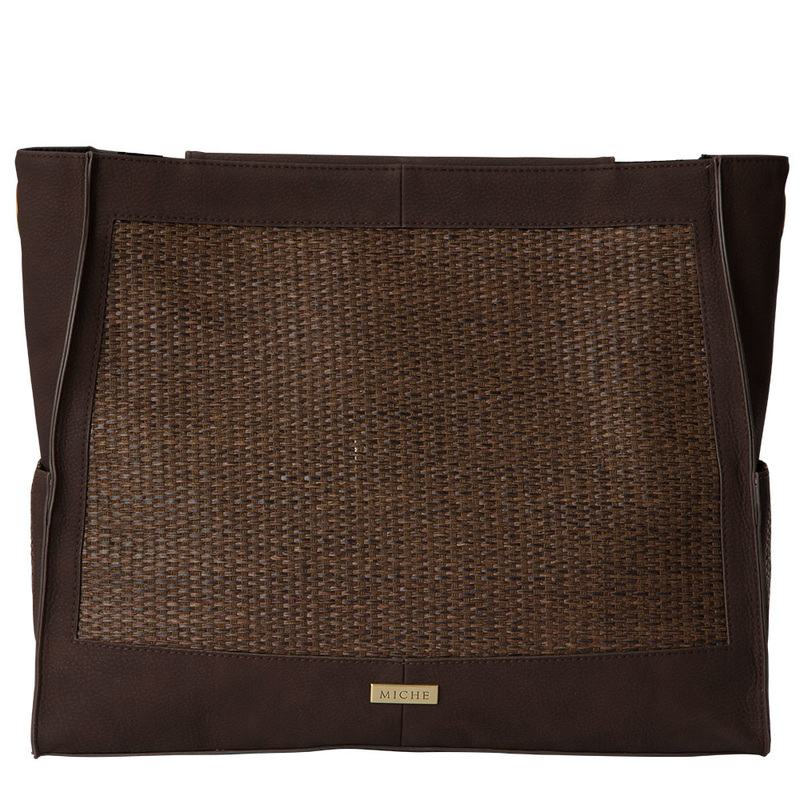 The clutch is trimmed in dark walnut and features cut-out handles so you can carry as a clutch or unfold and carry by the handles as a tote for a totally different look. 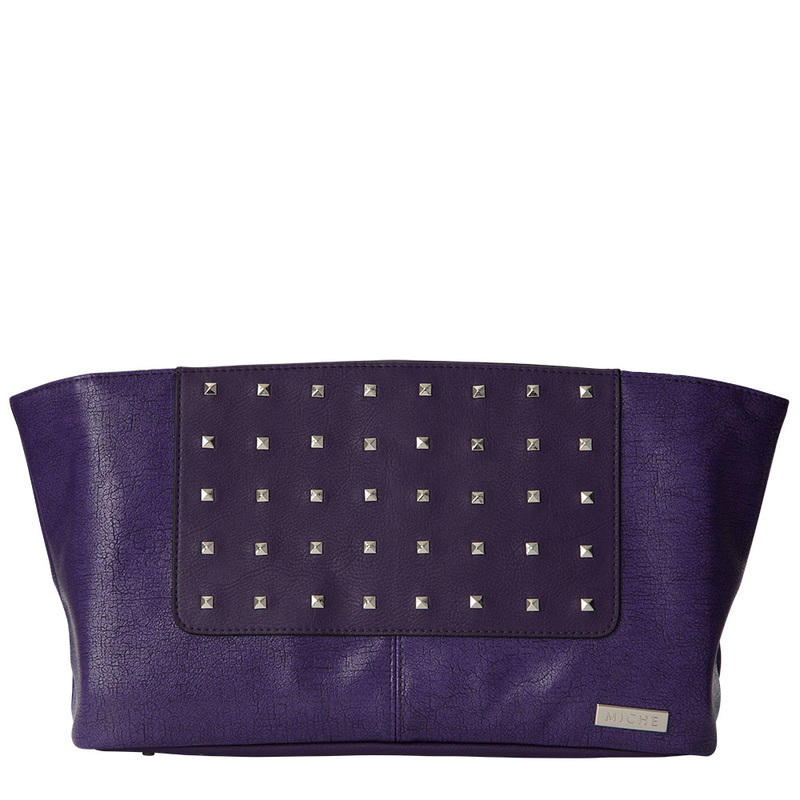 Silver hardware and a zippered pocket. Measures 11.75" long x 7.5" tall when folded. 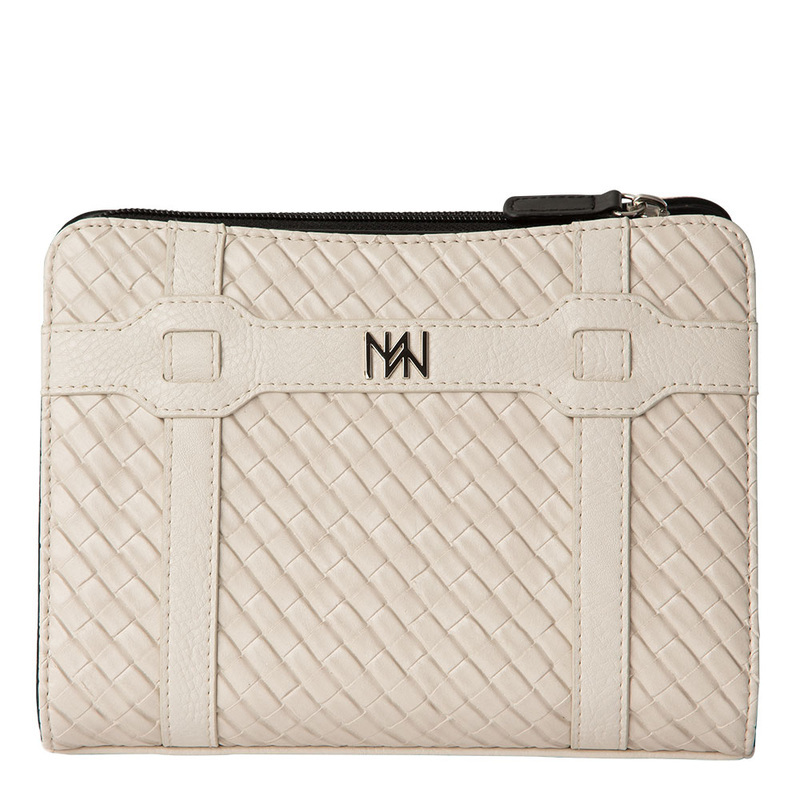 Cream faux leather embossed with a woven pattern is accented with cream piecing details and silver hardware on the Fairfield collection. 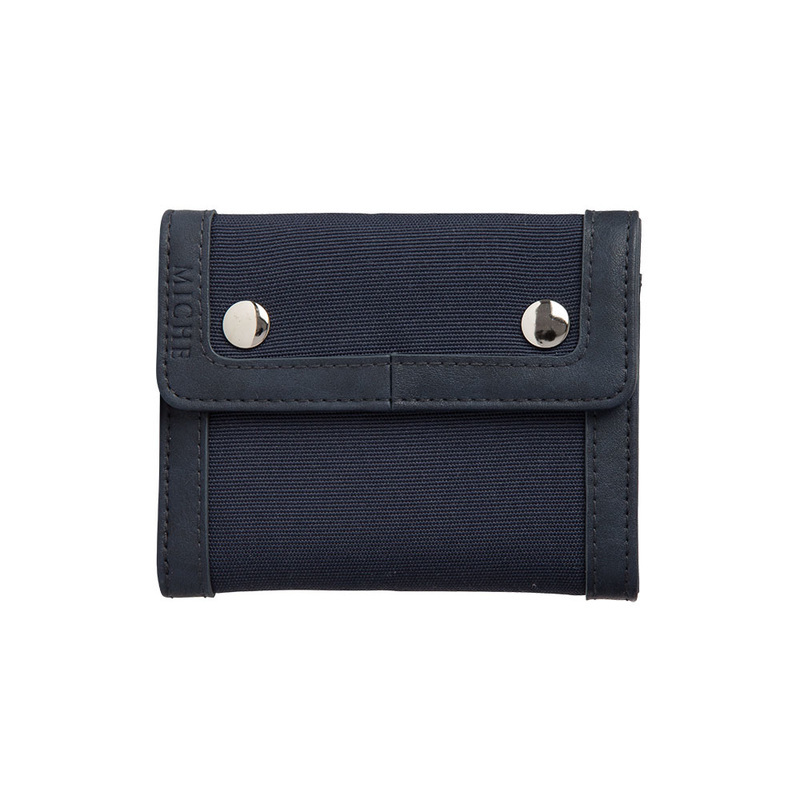 The Prima and Demi styles have side pockets and rectangle bottom. The Classic and Petite are wrap style. 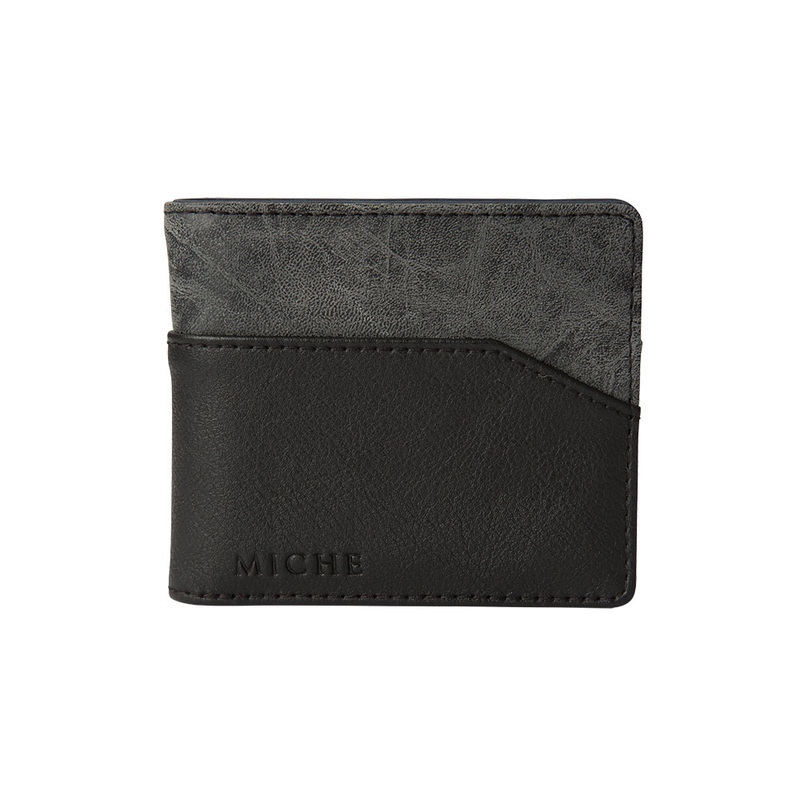 The coordinating flat wallet has dark brown contrasting stitching and zippers, painted edge trim and herringbone lining. 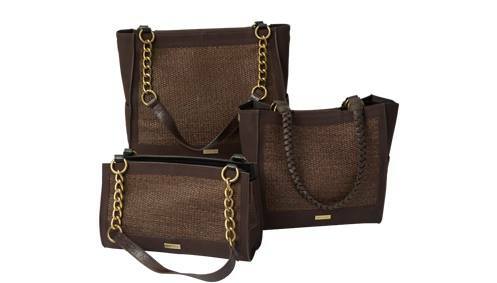 Chocolate ultra-suede with piecing of natural woven material in shades of brown, the Briarly collection is accented with reverse side seams and finished with antique brass hardware. 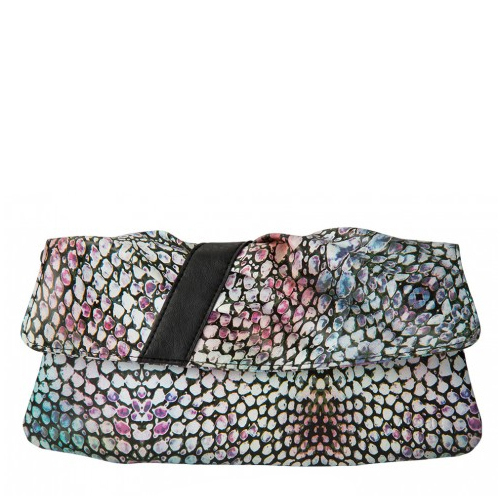 The Prima and Demi styles have side pockets and rectangle bottom. The Classic size is the slip-on style. The Huntington Demi has D-rings on the side (instead of grommet holes) to attach the long cream and silver chain strap. 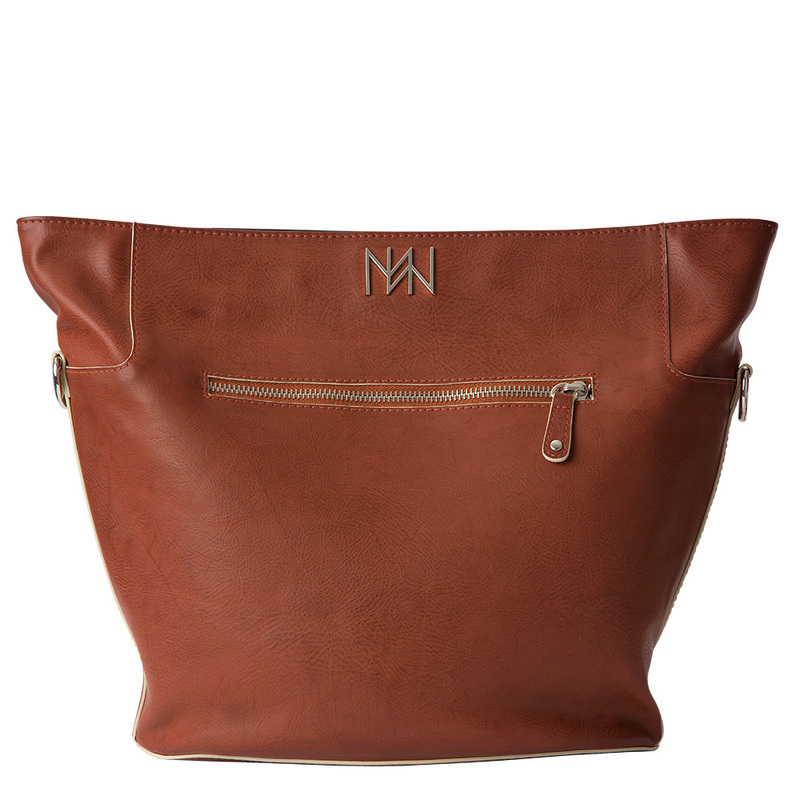 Of burnt sienna faux leather, this Demi has a tote silhouette, cream painted edges, a front zippered pocket, silver hardware and an oval bottom. Peacock blue faux ostrich trim accents cream linen-blend panel on the Devonshire Demi. The new long cream and silver chain strap can be attached to side D-rings (instead of end grommet holes.) 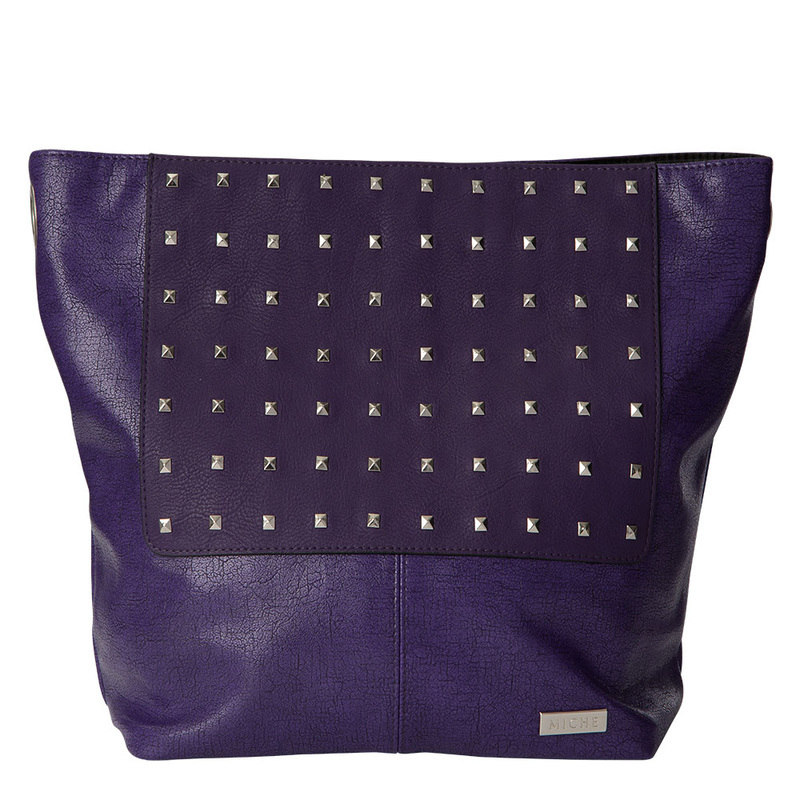 Back zippered pocket, silver hardware and a tote silhouette with a rectangle bottom. 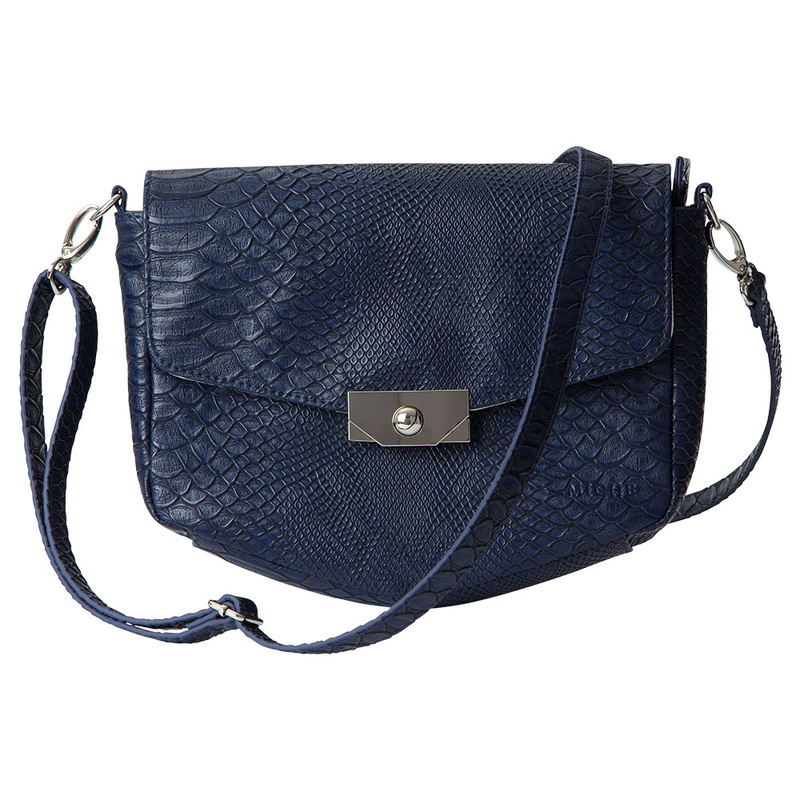 Faux navy embossed snake skin, the Brookview Hip Bag features a squeeze lock on the flap and a top zipper closure under the flap. 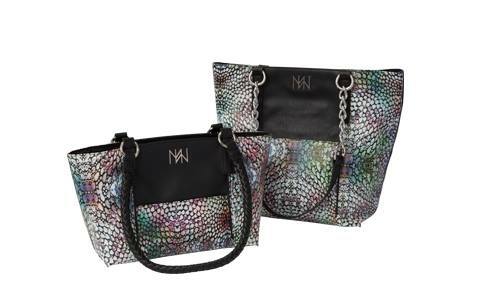 Silver hardware, matching strap is .625" wide and adjusts to 58" long with a 28" handle drop for easy cross-body styling. 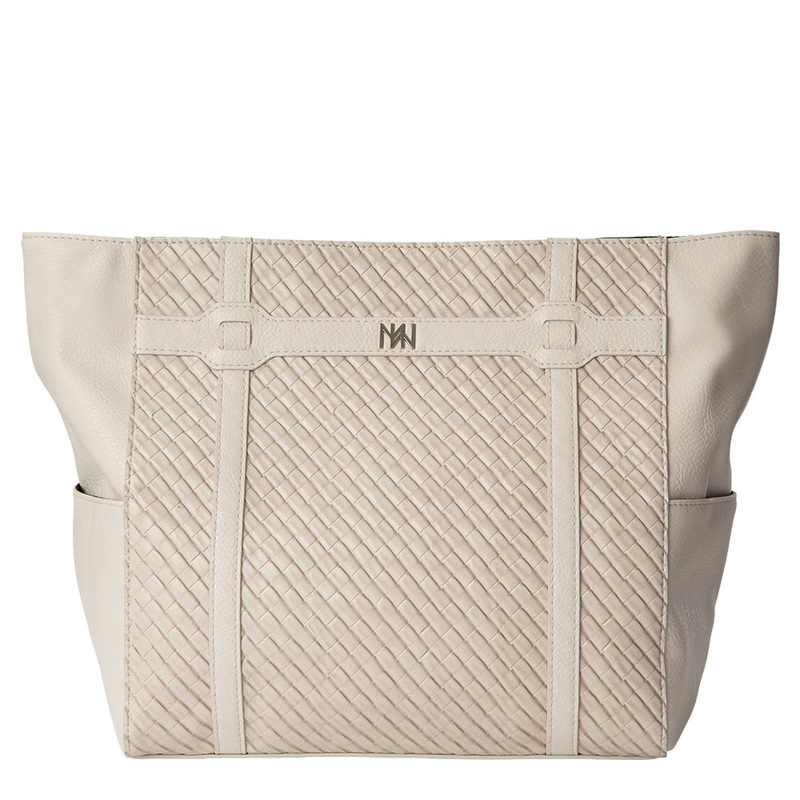 Cream and navy canvas messenger bag, the Kent has an adjustable long stap and zipper closure under the flap. 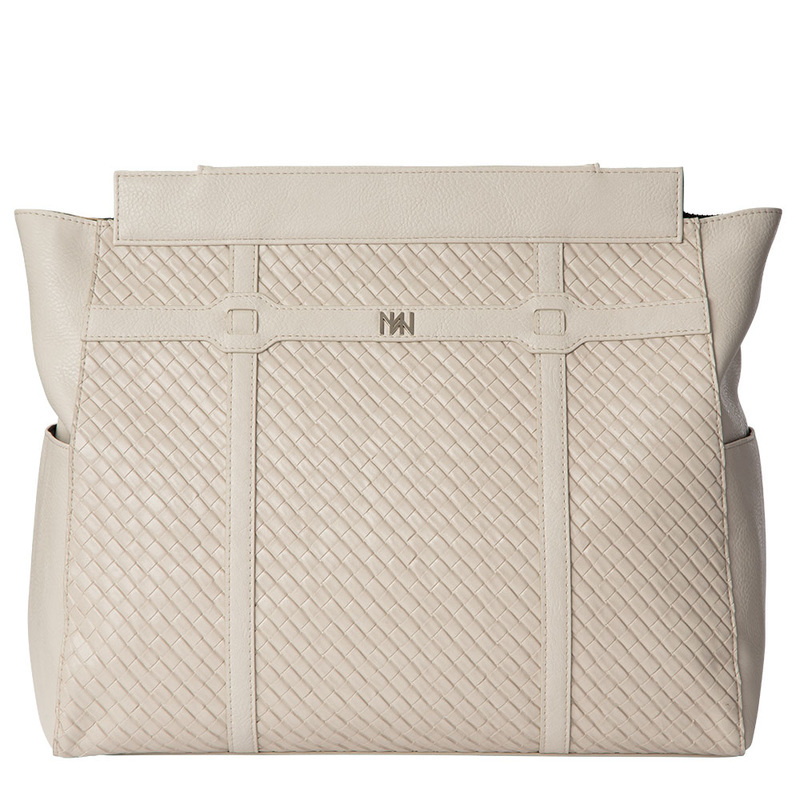 The bag closes with a sepia faux leather strap and with buckle detail and magnetic snap closure on the flap. 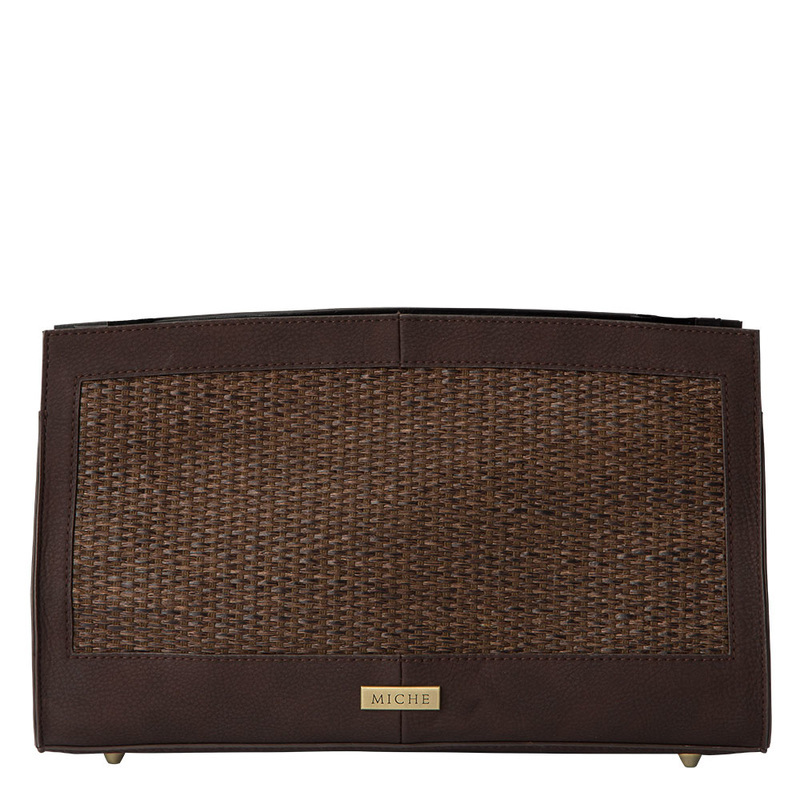 A small front slip pocket keeps your cell phone within easy reach and a back zippered pocket finishes the look. Silver hardware, not interchangeable (does not require a base bag to function. Measures 13.5" long x 9.75" tall with 3.75" gusset. 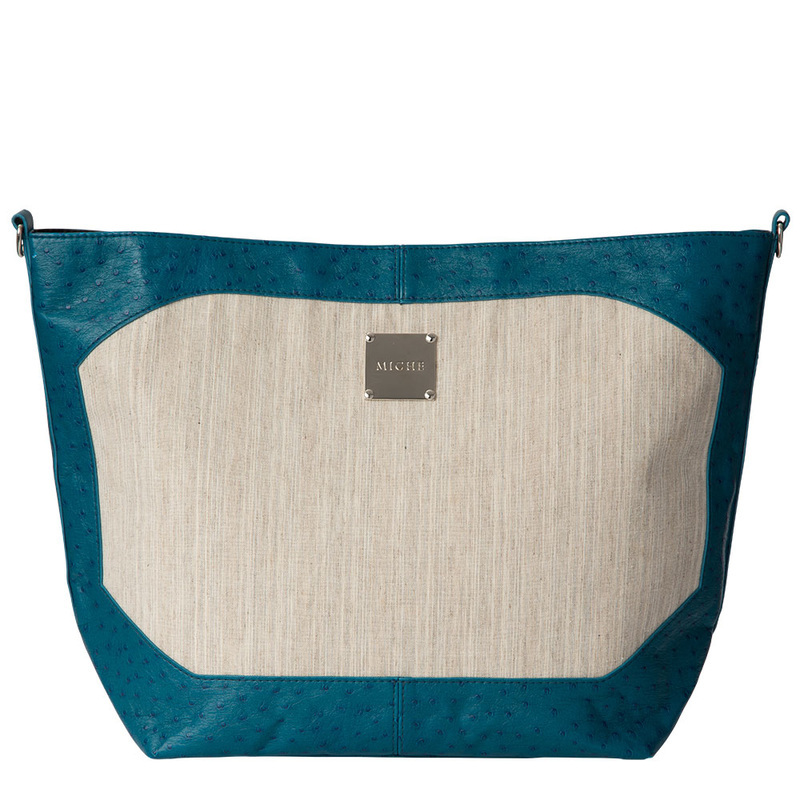 The navy strap is 1.25" wide and adjusts to 58" long for a 26.75" handle drop. Escape the ordinary and dare to be awesome with our new Rebel Chic Collection: Dare, Velocity, Jet Set Hip Bag and the Black Phone Wallet. 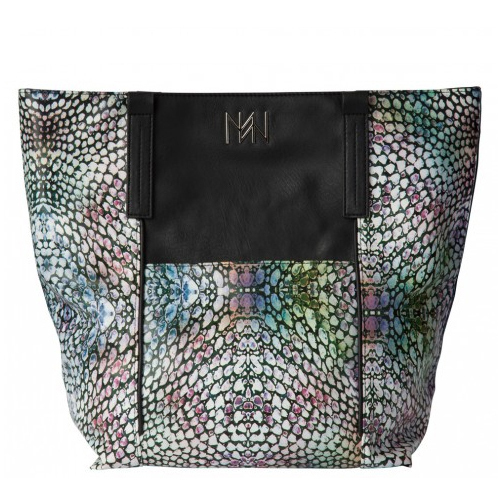 The Velocity Demi is emerald faux leather with diagonal stitching detail, back zippered pocket and debossed logo; silver hardware; rectangle bottom. 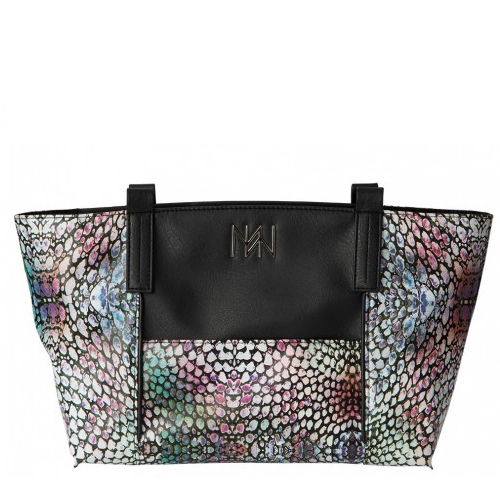 The Jet Set Hip Bag features black embossed woven faux leather with a grey woven nylon piecing on the flap. A long black stap with chain accent and silver hardware complete the look. 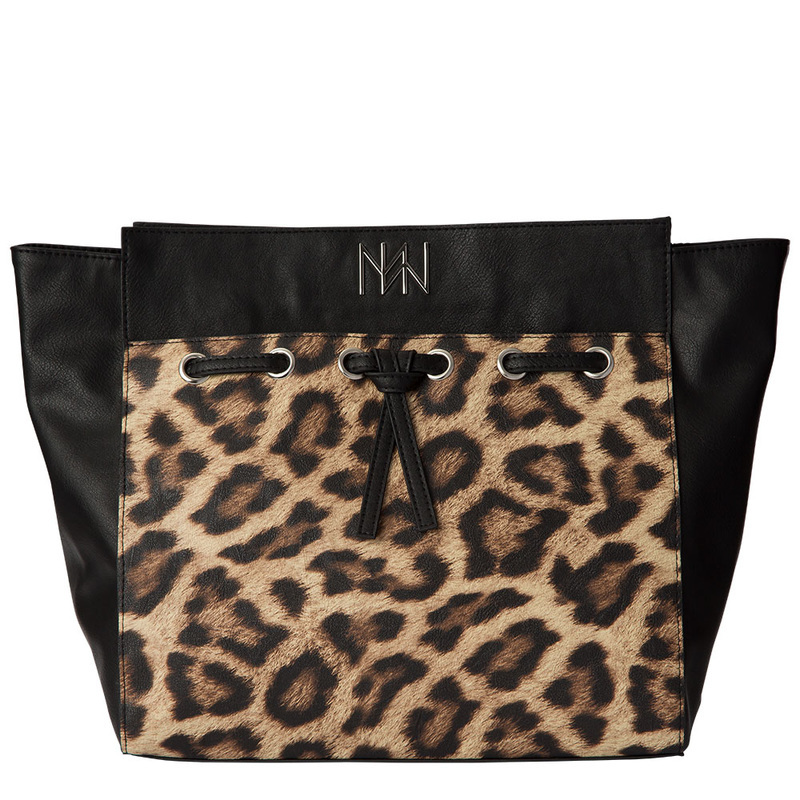 The Bag closes with a magnetic snap on the flap.